Reading out loud with young children is one of the most important things parents can do; beginning when they are newborns and continuing into adolescence. Study after study show that early reading with very young children helps them develop language skills, interact and bond with parents and caregivers, and begin reading early themselves. Reading with older children who already know how to read helps them feel close to parents, develop empathy and a greater understanding of the world around them,​ and opens the door for important conversations about feelings, challenges, and sensitive subjects. When it come to reading aloud to your children, the benefits are endless. Cognitive benefits: ​ Brain scans show that hearing stories strengthens the part of the brain associated with visual imagery, story comprehension, and word meaning. One study found that kindergarten children who were read to at least three times a week had a "significantly greater phonemic awareness than children who were read to less often." Social, emotional, and character development: Another study published by the American Academy of Pediatrics reports that reading to very young children is linked to decreased levels of aggression, hyperactivity, and attention difficulties. "When parents read with their children more... they learn to use words to describe feelings that are otherwise difficult and this enables them to better control their behavior when they have challenging feelings like anger or sadness." Increased concentration, memory retention, and self-discipline: Young children rarely sit still for long and have a short attention span. When you introduce regular reading to your children, you may notice a change in behavior. Toddlers may initially squirm and become distracted, but they will eventually learn to stay focused for the duration of the book. Improved imagination and creativity: Young children naturally have a capacity to dream big and use their imaginations. Reading aloud to your child helps them use their imagination to explore people, places, times, and events beyond their own experiences. Reading as an imaginative activity opens doors to all kinds of new worlds for your child. 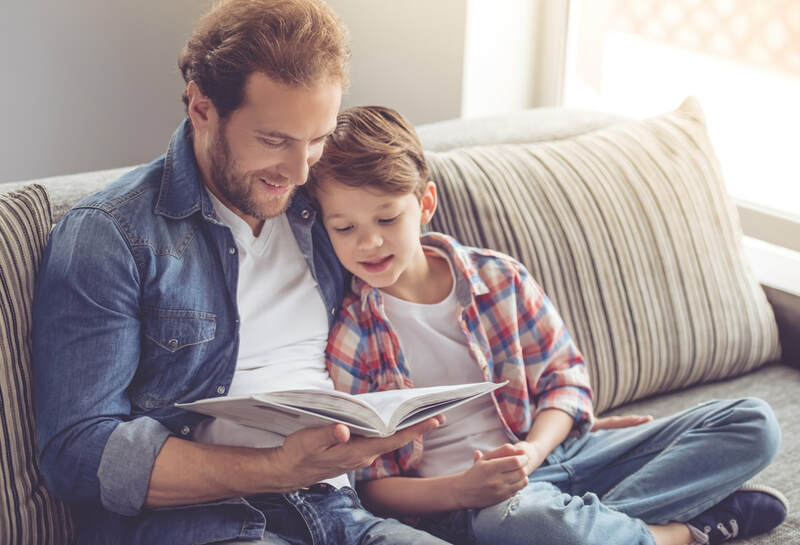 Cultivate a lifelong love of reading: According to Jim Trelease, author of The Read-Aloud Handbook, "Every time we read to a child, we're sending a 'pleasure' message to the child's brain; conditioning the child to associate books and print with 'pleasure". Reading is the key for lifelong learning, and if you can instill a love of reading at an early age, then a commitment to lifelong learning is sure to follow. Children who value books are motivated to read on their own, and will likely continue to do so throughout the rest of their lives.